Flight was originally presented as part of the 2017 Edinburgh International Festival. It ran for a 12 week engagement at the McKittrick Hotel, New York at the beginning of 2018, was presented as part of the 2018 Galway International Arts Festival and finished the year with an appearance at the Melbourne International Arts Festival. In 2019 it will be part of the Brighton Festival. Mark Fisher, The Guardian, presenting the Critics Award for Theatre in Scotland for Best Design. 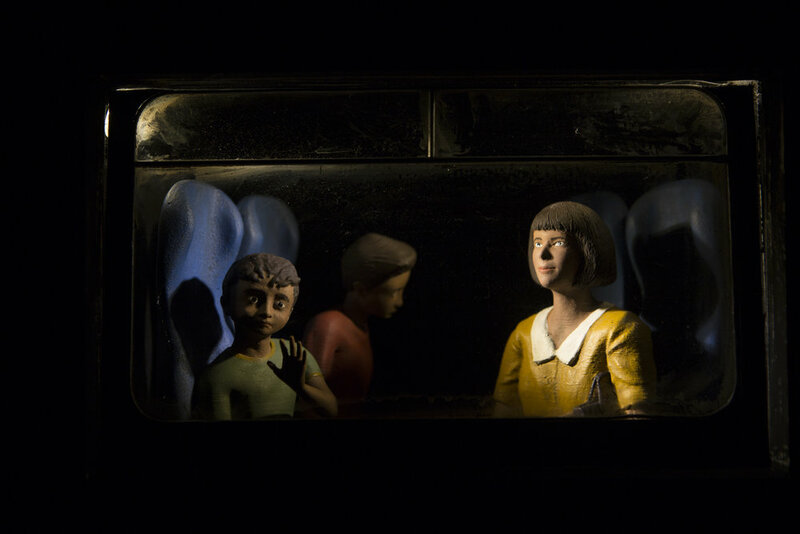 Flight is a technical triumph, and I can only imagine the weeks of work that have gone into carefully crafting the lighting design, which must consist of hundreds of tiny lights and illuminates each miniature scene with the same precision as in a full-scale theatre piece. unforgettable in both content and form, a devastating concatenation of dreams and nightmares on the run. The tableaux, are imaginatively wrought, and Simon Wilkinson's lighting, using the tiniest of instruments, is pleasingly precise. Any great graphic novel will make use of space, perspective, lighting and shadow. Flight does all these things and the style is majestic and fanciful. 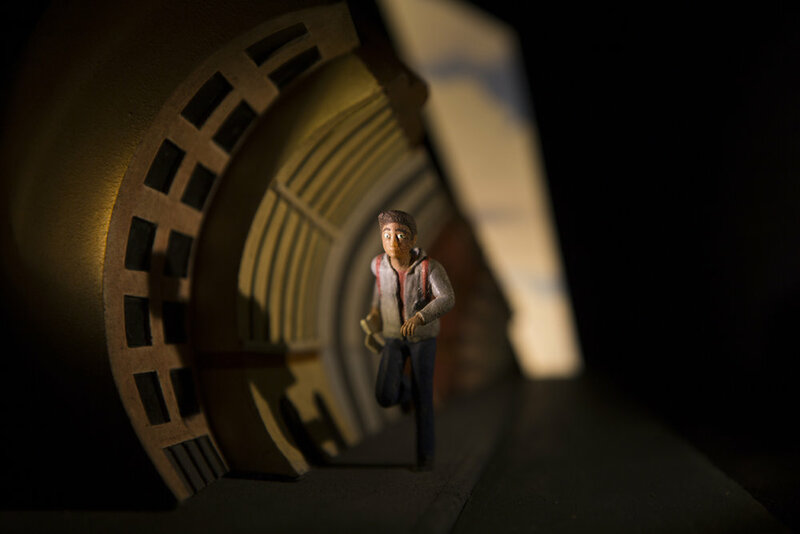 The visuals are striking ... Simon Wilkinson brings a thoughtful full-scale lighting design to many miniature sets.